Try Way sewer at the point of intersection with the old sewer looking east. Streets--Pennsylvania--Pittsburgh. ; Dwellings--Pennsylvania--Pittsburgh. ; Factories--Pennsylvania--Pittsburgh. 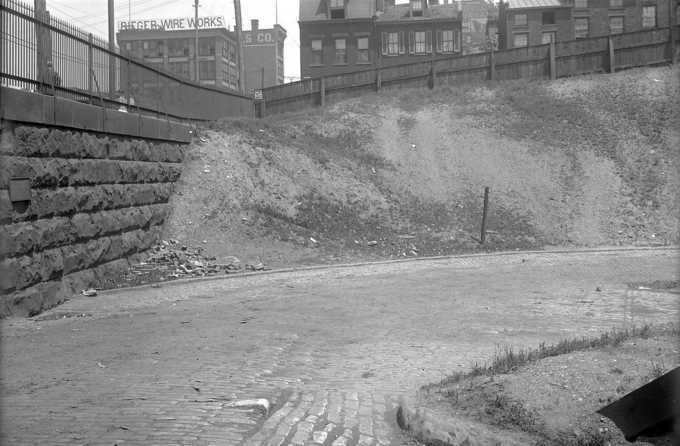 ; Retaining walls--Pennsylvania--Pittsburgh. ; Underground utility lines--Pennsylvania--Pittsburgh. ; Try Way (Pittsburgh, Pa.). ; Downtown (Pittsburgh, Pa.).